The Bay Area has always been a community of artists, creators and innovators. 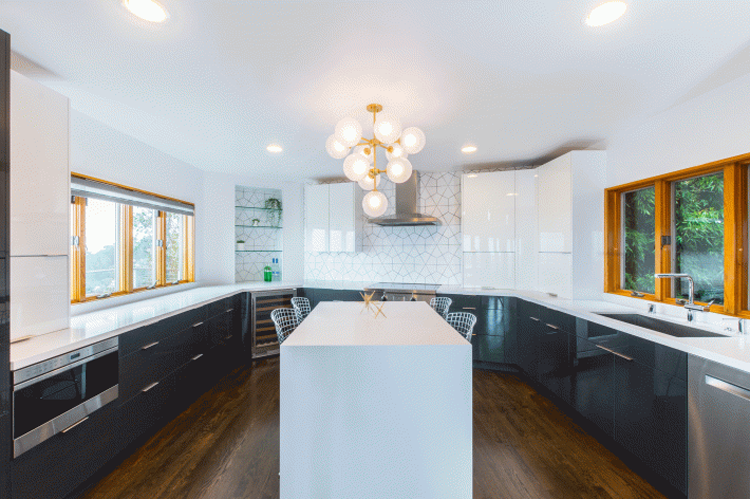 That passion and creativity is showcased every day in the work of our area’s interior designers who turn dream homes and sought-after looks into a reality. Today, we’re celebrating a handful of our local artists by showcasing a few of our obsessions: their most stunning Bay Area projects. Keep reading to learn more about five local design companies and swoon over photos from their jaw-dropping projects. Enjoy! K Interiors is led by Kristen Peña, lover of beauty and master of her craft. She has spent time in the fashion industry, decorated her own home while raising two daughters, and attended architecture and design school at UC Berkeley. Eventually, this led her to a career in interior design right here in the Bay Area. 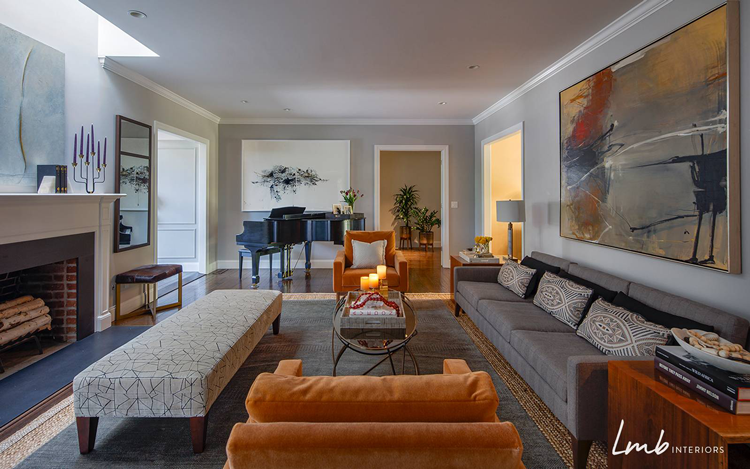 We love the Kentfield Residence for its elegant, dramatic and balanced contrasts. 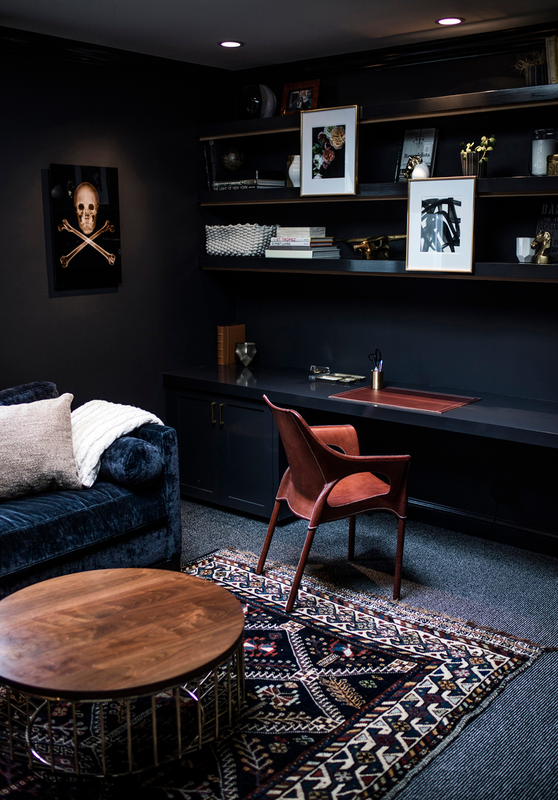 In one room, you’ll find deep greys, matte blacks and metallics. 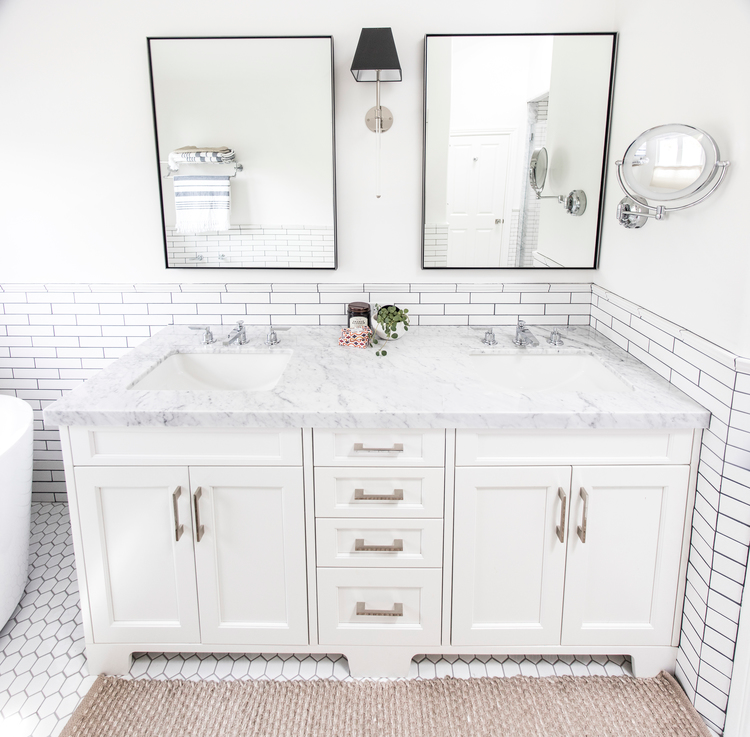 In the next, you’ll find soft, white marble paired with white tiles and brilliant white cabinetry. 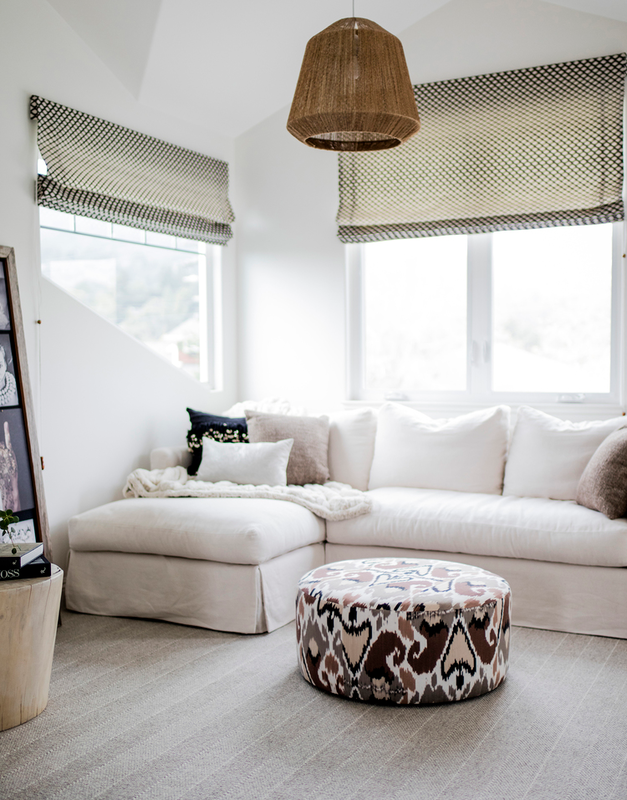 We especially love the choice of bright neutrals and whites in the living room. This welcomes and enhances the natural light coming in from the windows on every side. Based in San Francisco, Jute Home is led by Alison Davin, a 15-year veteran known for one-of-a-kind details and a practical approach. Her entire team works to create individual spaces tailored to each individual client so that your home can be both stunningly designed and comfortably lived in. 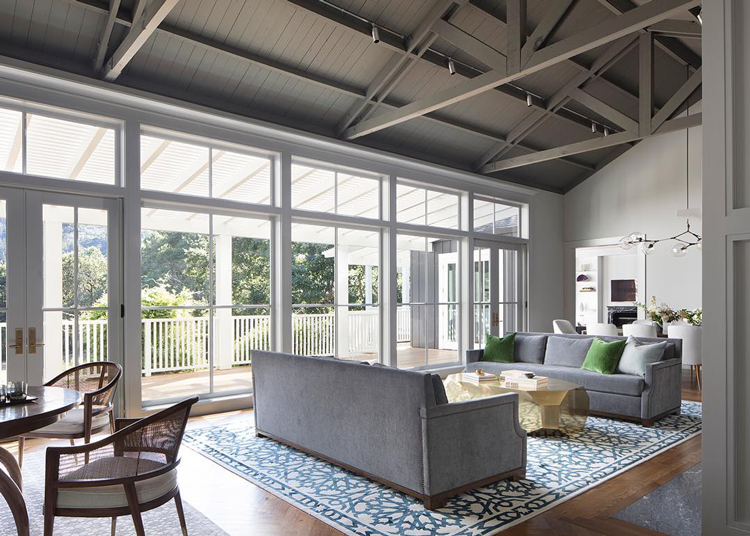 The San Anselmo Bungalow is our favorite example of both design and comfort. Exuding rustic, countryside charm, the design is cohesive thanks to wood beams, rustic, natural wood furniture, and even more subtle choices like cement countertops in the kitchen. 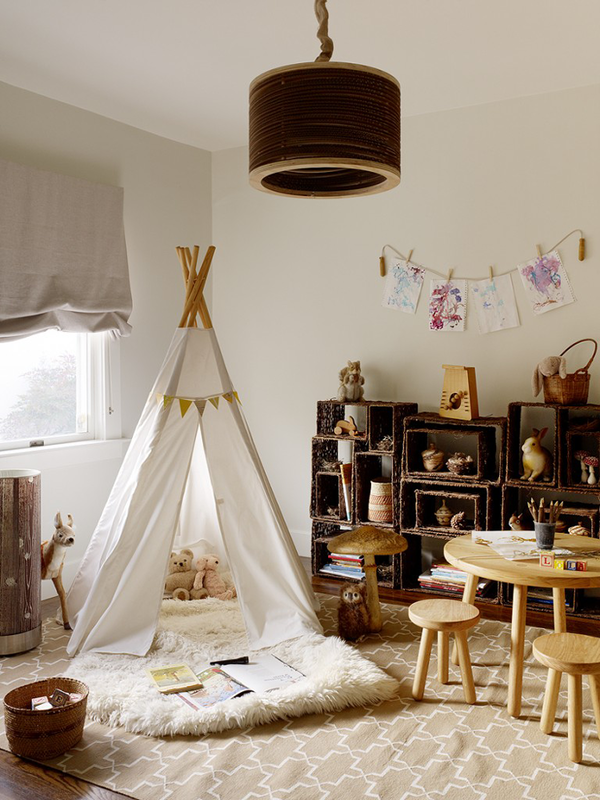 But of all the rooms in this home, we’ve fallen in love with the kids’ play area and paradise. Staying true to the rustic nature of the design, it’s as fun as it is beautiful. LMB Interiors began in 2002 at Laura’s dining table while she was pregnant with her first child. Today, she and her team of designers work out of the historic White Building in downtown Oakland, where they strive to create beauty everywhere they go and in everything they do. Designing in modern, contemporary, traditional, Spanish, Mediterranean, craftsman and every style in between, there’s nothing Laura and her team can’t transform. 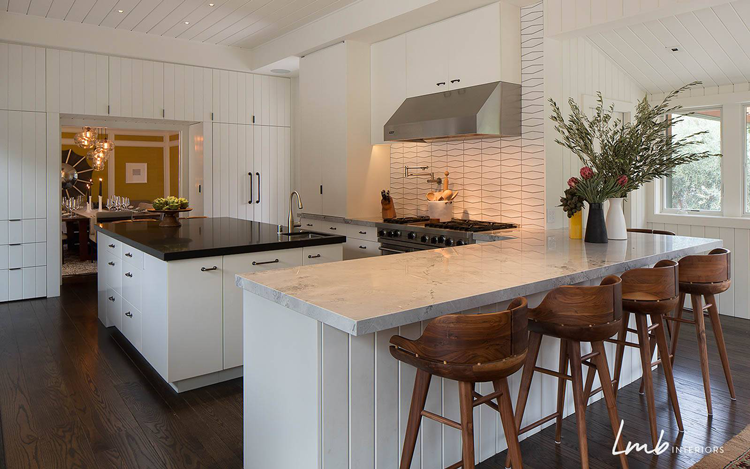 Case in point: this jaw-dropping California Ranch-Style Remodel. Previously the 1960s-era home in Lafayette had been largely unchanged from its original construction. This meant that indoor and outdoor spaces were poorly blended and much of the decor was out of date. 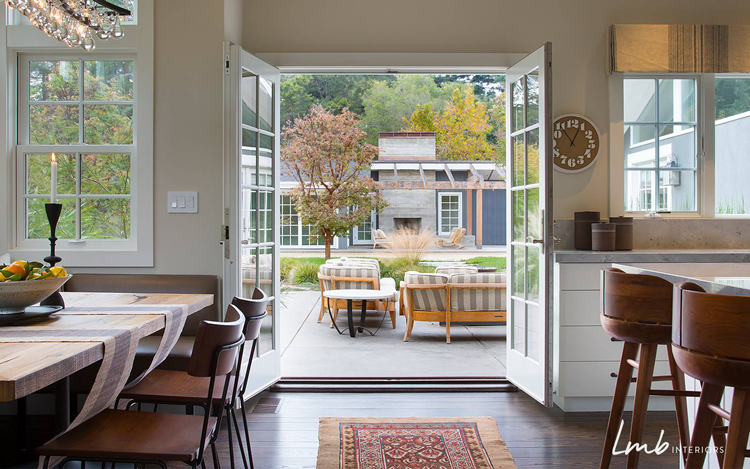 The first solution was a set of beautiful French doors between the kitchen and the outdoor patio. 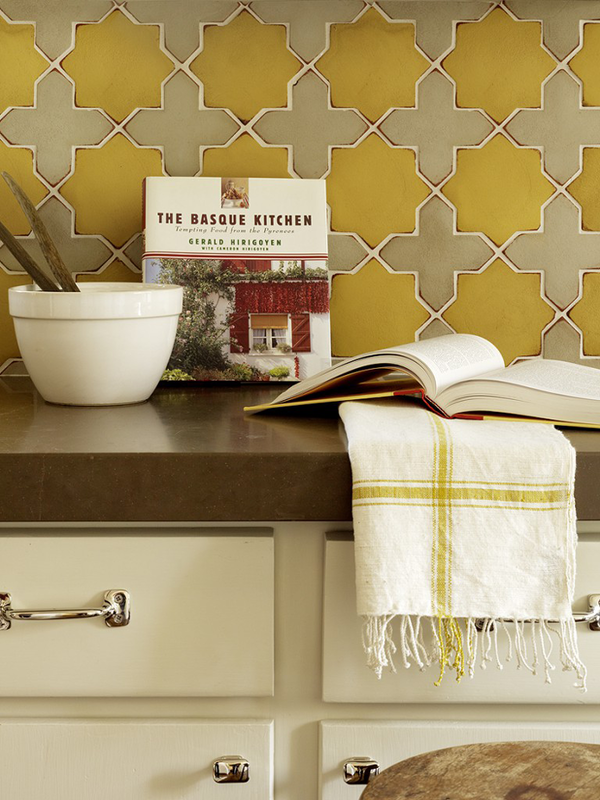 Inside the kitchen, you get a taste of the laid-back feel of the entire project. Details include custom-made Koa wood stools, quartzite counters, a muted color palette and, our favorite, the custom-designed built-in settee and table made from wooden beams once used to support barrels in an old winery. The rest of the home beautifully merges the building’s 1960s roots with modern luxuries and design to develop a Mad Men-esque style we love. See the full project here and read LMB Interiors’ story on it here. 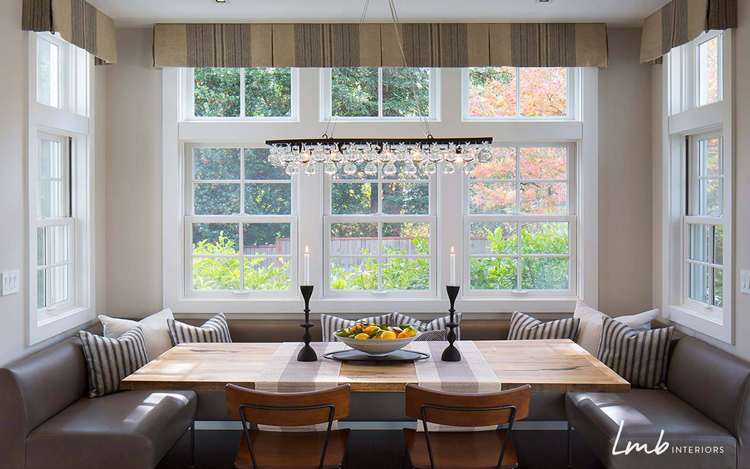 Niche Interiors has been serving high-end, residential clientele in the Bay Area for more than ten years. During that time, they’ve developed a clear expertise and an impressive tech-driven approach which results in easy processes, beautiful homes and happy clients. This dramatic and elegant Peninsula Estate is a wonderful example of that. The project was a remodel of a newly purchased 1920s home. The clients’ love for traditional details, global influences and saturated color led to a home suited for royalty. We especially love the duality of colorful, glamorous spaces with more natural, open and illuminated areas. 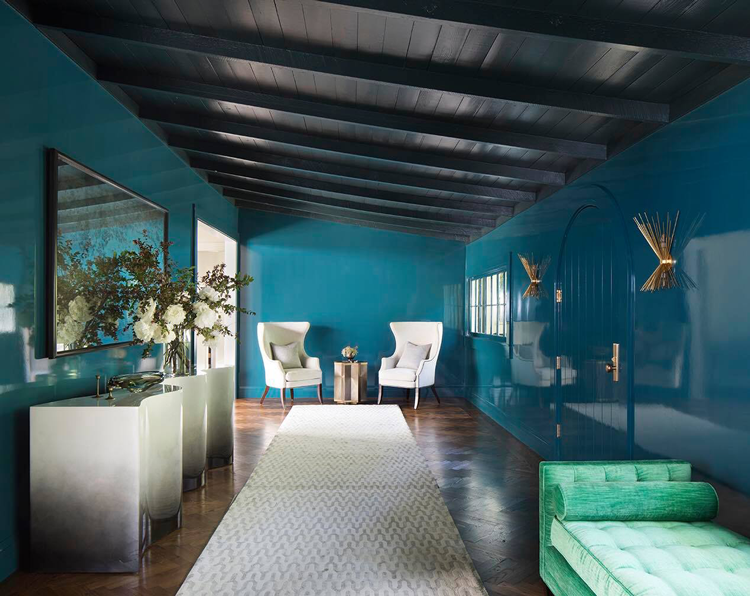 For example, the foyer is complete with peacock lacquered walls and gold details. But the living room design takes advantage of elevated ceilings and an entire wall of windows with a softer color palette and natural materials. Jill McCoy founded Visual Jill in 2010 to invent a different kind of interior decorating company. Her goal was to create a firm that would showcase her energy, love of color and passion for comfortable, modern design. Today, she and her team of designers and stagers create spaces clients fall in love with over and over again. And if you’re looking for a kitchen to fall in love with, we found it. 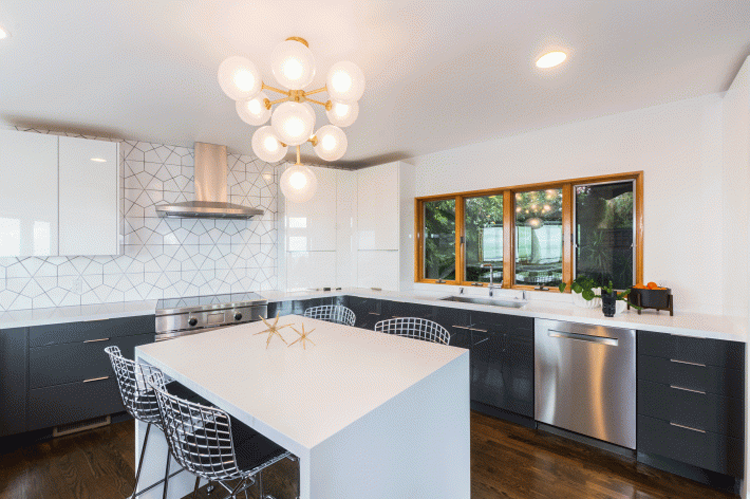 Once dark and compact, this renovated kitchen feels larger and much more welcoming thanks to sleeker, more modern cabinetry and bright, neutral colors that enhance natural light coming in from the existing windows. 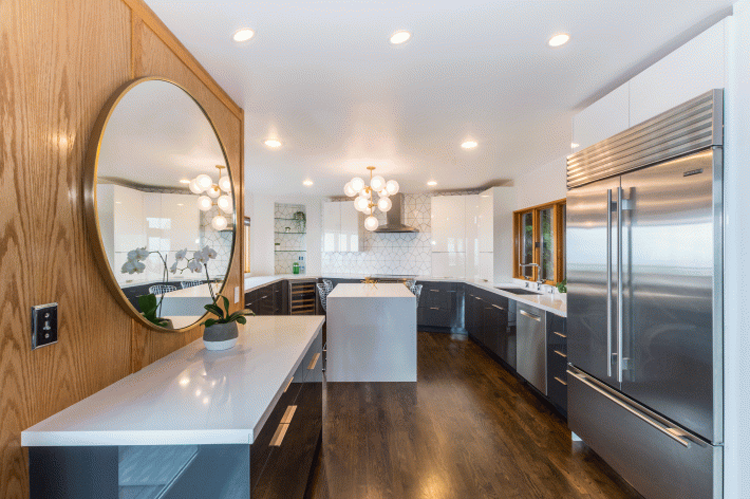 With the upgrade to stainless steel appliances and a contemporary, statement light fixture, this space feel like a brand new home! If you have a favorite project from this round-up, let us know in the comments below!